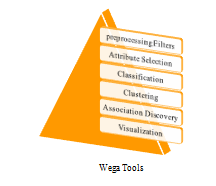 WEKA Projects is an acronym for Waikato environment for knowledge analysis. 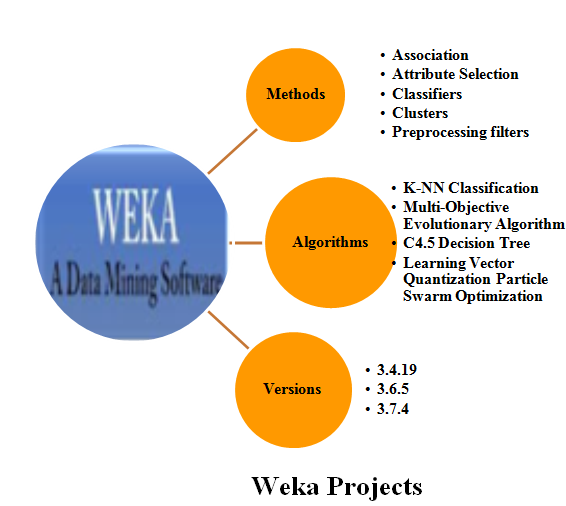 We offer weka academic projects for machine learning application and to extract valuable information from databases. 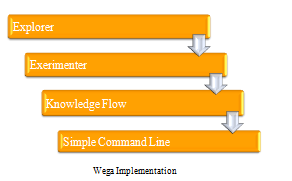 We can develop various number of software application by weka tool. Our main aim of developing weka projects to ensure an innovative technology and to enhance an optiministic solution for data mining issues. We embed machine learning application to analyze computer program and large amount of data based on the concept of IEEE papers. We ensure efficient support to fast and give accurate decision making process. We develop research projects for research scholars and development in machine learning. It provides how to use Weka workbench. Compare and evaluate different data mining techniques. For specific problem appropriate approaches are selected. Open source and platform independent. Ensure efficient performance improvement techniques. Flexible service for scripting experiments. Java Neural Network Package: Weka plug in implemented by java. HMMWEKA: library function contain hidden Markov learning algorithm. Provide semi supervised learning algorithm and collective classification algorithm. LTBDBC: classification with clustering and dynamic selection algorithm. Clustering composed of following packages. FAST OPTIC: random projection in Euclidian distance. APCLUSTER: used for bioinformatics and computer vision applications. RSAR SUBSETEVEL: used to select sub set features in large data set. XAPRIORI: we use this package to select frequent item in pattern mining algorithm. Snowball Stemmers: we use this to wrap snowball stemmer into weka working model in snowball stemmer algorithm. NLP: we use NLP package to construct part of speech filter and Penn tree Bank tokenize. It contains various tools to analyze entire data mining process. Ensure number of switching operations to customize the output system. It enables sufficient information to generate an accurate output.